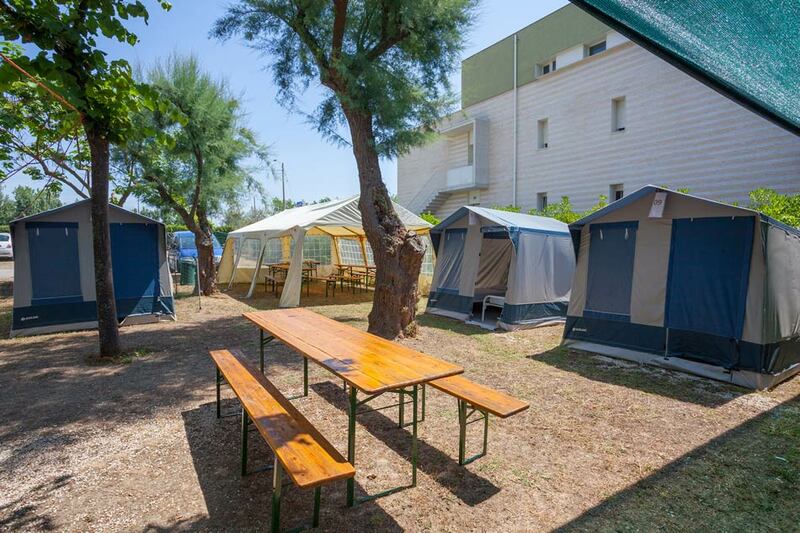 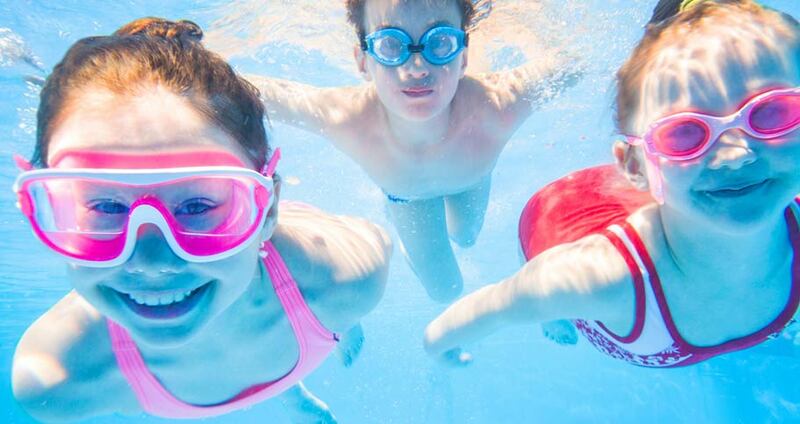 The equipped tents of our campsite in Senigallia are a modern and comfortable alternative to a classic camping holiday. 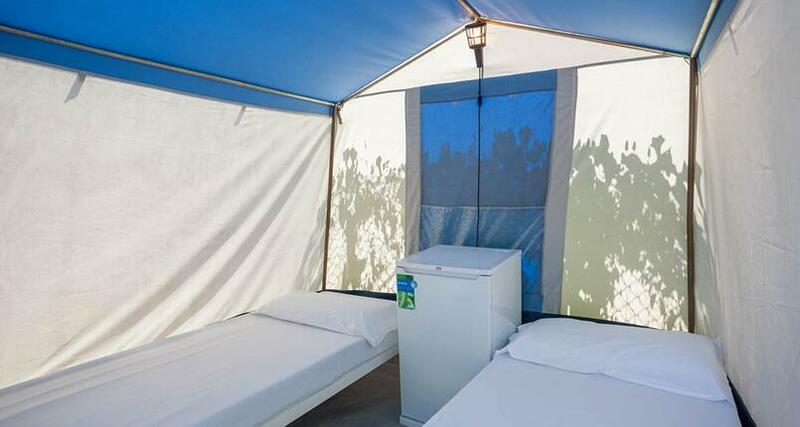 Here they include beds with linen and electricity, as well as fridge and hobs to be shared by guests. 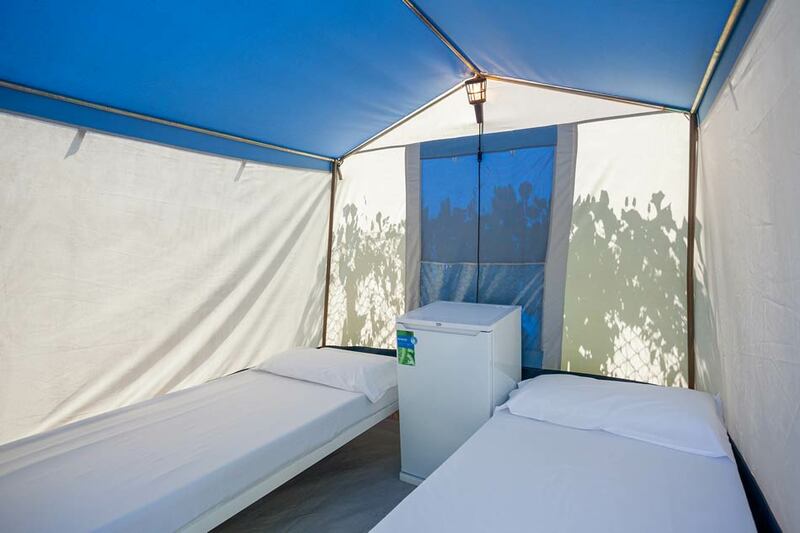 Description: equipped with 2 single beds complete with linen and socket (1kW). 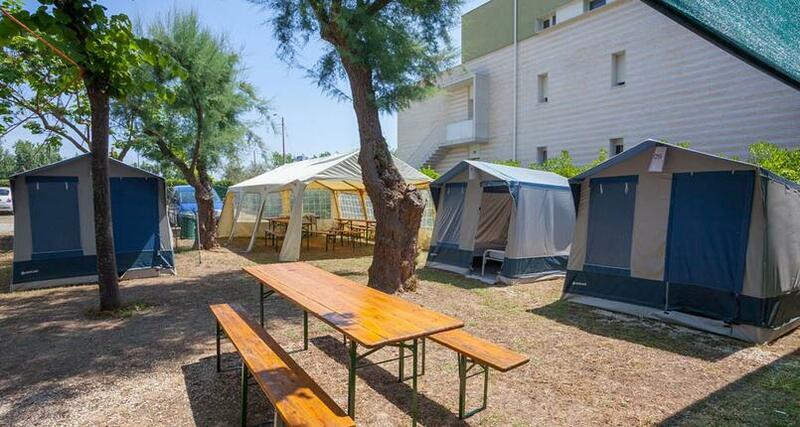 A large gazebo with tables, chairs, hob and fridge is available for common use with other guests.